Cranberry Apple Crisp - Now....you're cooking! An update on the classic apple crisp, with the addition of tart cranberries. 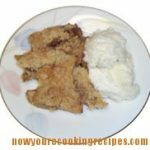 Combine rolled oats, brown sugar, flour and butter in food processor. Whirl until crumbly. Add pecans and whirl until they are coarsely chopped and blended in. Peel and core apples and cut into thin slices. 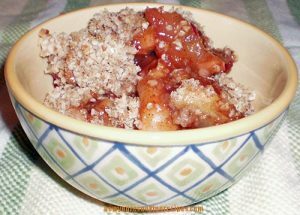 Combine in casserole dish with cranberries. Drizzle Grand Marnier over apple mixture. In a small bowl, combine brown sugar, flour, cinnamon and nutmeg. Sprinkle over apple mixture in casserole and toss to combine evenly. Bake at 350 degrees F. for 50 to 55 minutes, until apples are tender. The Grand Marnier adds a special taste to this dessert, but if you don't have any on hand you can substitute orange juice (and add a little grated orange rind). 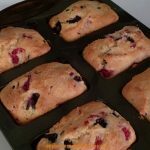 Make this gluten-free by using gluten-free rolled oats, and substitute a gluten-free all purpose flour blend for the regular flour.